Cool! I like your unicorn and your ears look nice. How long have you had your hip surfaces? It's awesome when people can actually keep them in. 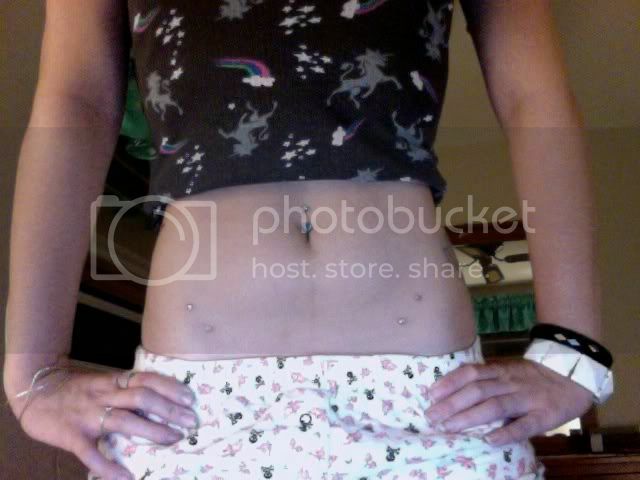 These were my Diagonal Navel piercings. Unfortunately they had to be retired due to migration but I'm hoping to get them re pierced at some point, I adored them. 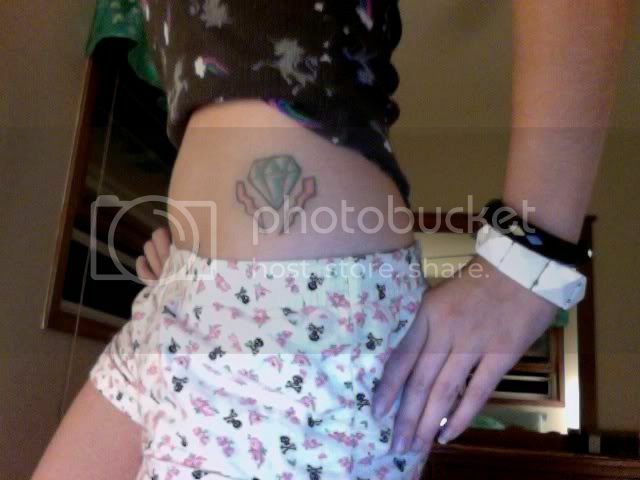 I still have the standard navel however. Cool Tattoos and Piercings ladies! Thanks! I didn't know you had your nostril done. They're such great piercings to have. 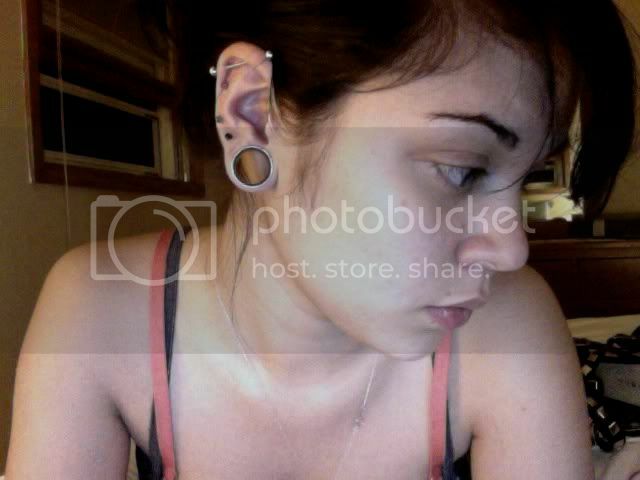 :] Your piercings look great too; I don't think your lobes look that tiny! Worst : bigger stretch = heavier plugs = loosen faster and faster ! I worry mine won't stop at my goal size either. 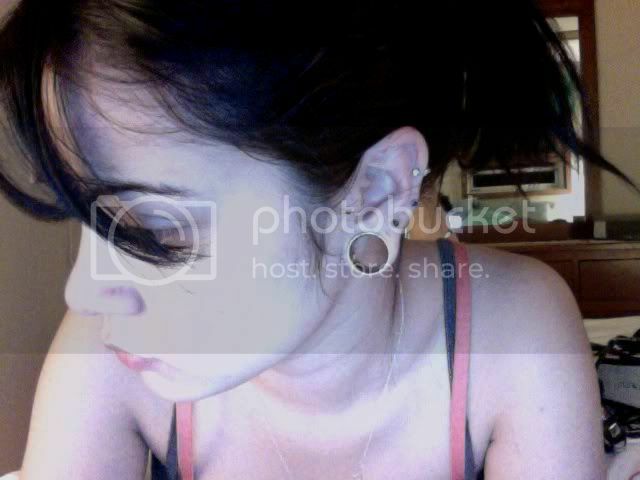 But if they start stretching themselves at 0G I'll probably just start going without plugs for a few hours each day, or even overnight.